This is a product that smells and feels lovely and that really takes care of any scarring and stretch marks you may have on your skin, and it’s gentle enough to use during pregnancy. It’s one that I use in winter, when my skin has a tendency to dry up and on any burns, scars or scrapes I may get! It has a massive celeb following which has given it a somewhat cult status, but the bottom line is that it’s a faithful product that will help with specific concerns such as scars, stretch marks, uneven skin and dehydration. 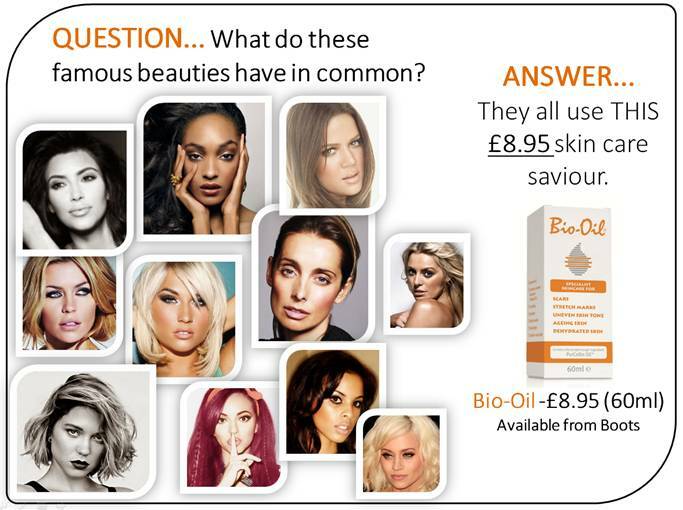 The Bio-Oil unique formulation includes vitamin A and E with Calendula, Lavender, Rosemary and Chamomile oils, and their very own Bio-Oil, PurCellin Oil™ (that somehow create a “dry” oil which is non-greasy) to ensure they’re easily-absorbed into the skin where they can provide targeted treatment. 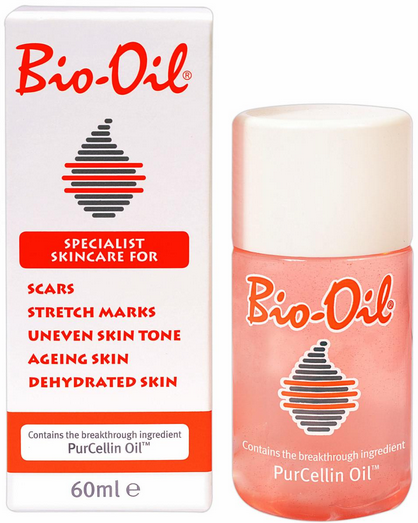 Bio-Oil has been clinically proven to help with scars, stretch marks, uneven Skin Tone, Ageing Skin and Dehydrated Skin. This entry was posted in Baby, Body, Skincare, Wellbeing and tagged anti ageing, bio-oil, calendula, chamomile oils, hydrating, Hydration, hypoallergenic, lavender, nourishing, rosemary, skincare, treatment, vitamins a and e, wellbeing. Bookmark the permalink.